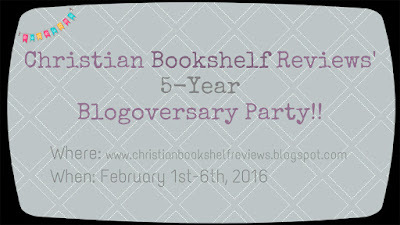 *This post is going up early because tomorrow is the start of this blog's 5-Year Blogoversary party!! Italian spook, Luigi Putelli, rises to the COIL challenge, and attempts to stand vigil in Corban's absence. Luigi scours the world to help those in need—even when his past threatens to stop him. From New Jersey, to Bangladesh, to Nigeria, Luigi is determined to serve Corban's God. Chloe Azmaveth, ex-Mossad agent, hunts down every clue she can find to locate Corban. The web of deceit grows complicated as a government agency goes rogue to cover up a deadly secret. The closer she gets to Corban, the more her hope wanes, and it seems that Corban Dowler may be beyond saving! Join COIL in Dark Vessel by D.I. Telbat, with cover design by Streetlight Graphics, as it rallies its best agents for a battle against darkness from the streets of New York to the tropics of the Caribbean. With evil forces at work, and the Dark Vessel raising his ugly head, we learn that…there is no redemption without sacrifice. Moira St. Clair has done exactly what her father forbade her to do: chased her dreams to sing on the stage. But even as her star rises, she becomes more vulnerable to those who wish to use her—or bring her down…. Bout of Books Progress and Day 2 Challenge! I'd have to say break up, but this is such a tough question -- I don't like either option. Number of Re-Reads: 30-35, if counting the Nancy Drew books I read (originally read them ages ago). I read a lot of short books last year, so my goal for 2016 is to read 150 books with more of them being 300+ pages. Keep my Shelfari bookshelf updated in 2016 with all the books I read and am reading. I've been lazy in the past and haven't added all my books. Also, keep my 2016 Reading Challenge page updated monthly (probably when I post my Monthly Reflections post). Finish 6 books from my "2015 TBR Pile Reading Challenge" list -- which completes the goal!